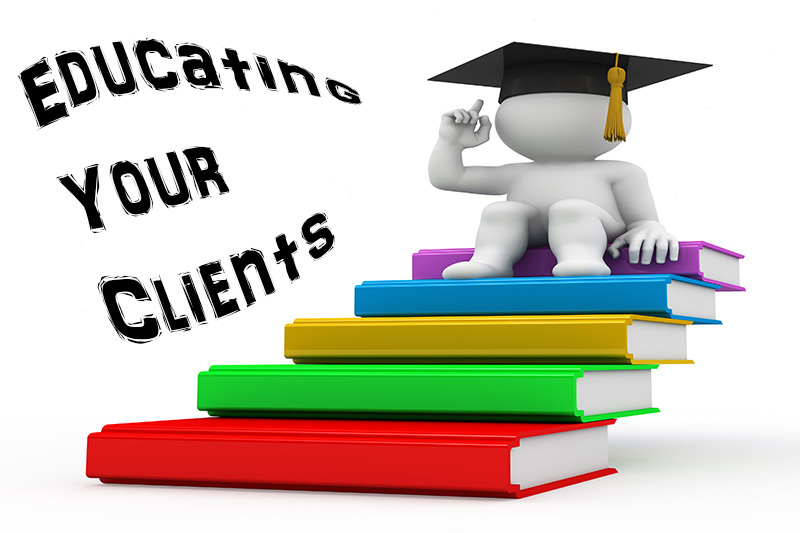 Have You Been Educating Your Clients? If you’re having an issue with clients not seeing the value of having a professional photographer, then the issue may be within us not educating our clients on the value of professional photography. And let me be the first to admit that I am guilty of doing just what Jamie talks about. But, when I got this email a few days ago and read the first two paragraphs, Jamie had stepped all over my toes with the truth, leaving me guilty of all charges. “I Can’t Afford You!” Truth or Lie? That’s it! Nothing More…Nothing Less… Here’s what Jamie says in her book. Purchasing decisions are almost always emotional. If can you truly get someone to truly want what you offer, they are going to find a way to afford it. This is ABSOLUTELY TRUE! And if you’re honest with yourself, you probably justified purchasing something you didn’t need within the past 72 hours. What are You Offering that is Worth Paying for? Today’s clients are not going to do business with you unless we give them a reason too. Cameras have advanced very well, and the average person can now take a very good picture with their camera phone. Now, the print quality may not be A++, but it’s far from being a D-. On the other hand, when you looking a printing larget wall decor, that’s another blog post for later. What’s My Job as a Professional Photographer? Your job as a professional photographer is to get them excited about professional photography and why they really need and want a professional photographer to capture those unforgettable moments they don’t want to forget. Now, I’m not going to go into details on adjustment we all should probably make or how you can do it, and when you should do it; but, I will give you the link so you can download the free book that Jamie has online so you can read it for yourself. Be careful, if you’re honest with yourself, Jamie makes some very good points that will fine you guilty as charged. ’til the next episode, don’t forget to download the book, but don’t say I didn’t warn you. This is very helpful post especially when it comes to people working with different kinds of people. Look at the situation in the most positive way while controlling your emotions, every client has a purpose, you will learn from them so make sure that you can educate them also all throughout the process. Absolutely! Without educating the client, they never see the value in having a professional photographer. The world now believes they can take professional photos with their iPhone. But it’s our job to explain and teach the client why a professional is not the same a your iPhone and never will be. So you did all that work and they themselves haven’t made a commitment? That shows to the client neediness and lack of value. You need to lead with values and demonstrate these value i.e. put a system in place, educate the prospective client on your system. If the prospect doesn’t follow your system, that is already telling you they don’t qualify for your skills and time. Very good point and a very good to weed out those clients that will never commit, by simple educating your client on your system. Either they’re going to commit to your system or not. But it saves you a lot of time. I’m glad you enjoyed reading our post on Educating your Clients. This is an area all photographers must continue to develop and grow. Have a good day!